IITs have played a crucial role in mentoring some of the well-known tech leaders from the country. With an increasing number of youngsters preferring to take up the startup journey, IITs across the country have scaled-up their mentorship capabilities to help these youngster materialise their startup dreams. In this article, we look at the five big names in the startup ecosystem which were incubated in the IITs and which scaled higher in the coming years. Capillary Technologies: Founded in 2008 by IIT Kharagpur alumni Aneesh Reddy, Krishna Mehra, Ajay Modani, the startup provides CRM solutions for enterprises to identify each consumer, and directly communicate with them through mobile technology. Incubated in IIT Kharagpur, the company is presently headquartered in Singapore and caters to demands of high-end international retail giants across the world. In 2012, it raised $15.5 million in a Series-A round from Sequoia Capital, Norwest Venture Partners (NVP) and Qualcomm Ventures. In 2016, it raised $45 million in a Series-C round led by Warburg Pincus. In total, Capillary Technologies has raised $102.1 million in funding over eight rounds. Their latest funding was raised on Oct 18, 2018, from a Private Equity round. Since 2016, it has acquired three companies as well. Uniphore: Founded in 2008 and incubated in IIT Madras by Ravi Saraogi, Umesh Sachdev, Uniphore Software Solutions provides voice and data technologies to transform mobile phone into an enterprise-service delivery for various sectors. Over the years it has worked with 60 enterprises and has catered to more than 4 million end-users. Some of its services include speech analysis, voice assistant and voice assistant. SensiBol: Builds and licenses solutions, which utilise their proprietary audio-processing algorithms, for the music edutainment space. Founded in 2011 by Dr Vishweshwar Rao in 2011 and incubated a year later in IIT Bombay, the startup is now closely associated with media, telecom, music and entertainment industries. The startup has raised funds from Indian Angel Network and has was shortlisted by NASSCOM as one of 40 startups pan-India for Innotrek 2018. 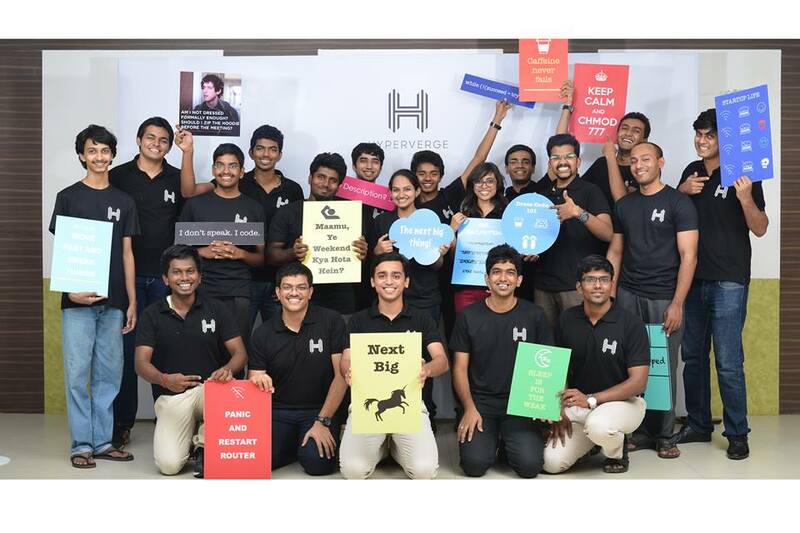 Hyperverge: Incubated in IIT Madras and started by Kedar Kulkarni, Vignesh Krishnakumar, Kishore Natarajan, Saivenkatesh Ashokkumar, and Praveen Kumar in 2013 with a mere investment of six lakh, the startups leverages artificial intelligence to develops image engines with use of high-performance vision and machine learning technologies and has four patents pending in the US and India. In total it has raised $1 million in funding from some of the noted VCs like Milliways Ventures, Naya Ventures and NEA.